For the second year in a row, ONLYLYON Tourism’s Promotion Department held the Rendez-Vous à Lyon B-to-B event, where it welcomed 45 tour operators from 11 European countries, from the 24th to the 26th of October 2018. This year’s event included tours of Lyon to show what our destination has to offer, gastronomic discoveries and a workshop for tourism professionals. It was the first visit to Lyon for most of the participants, and many had not yet included the city in their programmes. 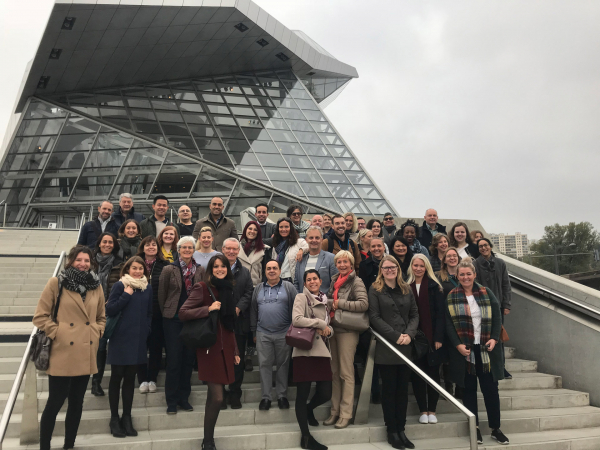 During the workshop, the tour operators met with 39 local professional members from the hotel, catering and leisure sectors, giving them an opportunity to make contacts to help create future tourism offerings in Lyon. The fun and hard-working atmosphere of this busy 48-hour event was appreciated by all!